It is never explained why the white female protagonist spends her days doing odd jobs for a poor black school in South Africa, yet her humanity and kindness shine through. She befriends two boys who follow her around, sit on the roof, hammer and paint with her. The main action of the story centres on a dove whose foot is caught in the seed pod of a eucalyptus tree. When a young man with a gun appears, everyone expects him to shoot the bird, but instead he frees it. The innocent reactions of the children and the protective worrying of their teachers are beautifully portrayed and the debate around the intentions of the man with the gun is entirely convincing. It is only at the end of the story and the news that the ANC has been unbanned that the reader realises the full significance of the freeing of the dove. It is a well thought out and exact metaphor. This is a clever story that is seen through the eyes of a young boy. His mother has died and his father has left him and his younger sister in the care of an elderly aunt. They are in Italy, prior to the Second World War and their nanny introduces them to the glory of Mussolini, showering flower petals on the troops returning from Abyssinia. With the nanny dismissed in disgrace and the aunt refusing to have them any more, they are sent home to England and a new stepmother. The boy’s clearsighted viewpoint of what he sees, brought to life through his keen awareness of colour, contrasts with his ignorance of the significance of the events around him and brings a poignancy to the situation as the reader understands so much more than he does. Maria, who was found dead on the beach, appears on the back of the stone horse in the public square. Family and friends are at first delighted, then dismayed when she refuses to speak to them and any attempt at contact passes through the air as if she is not there at all. Villagers bring offerings, then fight over the food; they scold her for not picking up the new shoes she had ordered; her mother and best friend sit quietly and wait for her to give them some sign. The delight of this story is the rich, playful language. Sparkling descriptions and affectionate portraits of the villagers, despite their selfish behaviour, bring credibility to a surreal situation. Humour and pathos dance side by side until the ending when they discover that Maria has returned with a plea for silence. It is important to register the name of, Alex, a main character in this story. It comes at the beginning and is repeated later in an amended form. We sympathise with this man initially, with his delight at the delivery of Saint Saens’ Symphony No 3 and the memories of his first lover in South Africa when he was a young policeman. When Robert appears, it is not immediately obvious how they are connected. His close friend, a young, educated black man, was tortured and thrown out of the window of the police station, supposedly a suicide. When he went to the police station, he was treated with contempt by the policeman in charge. This is a story of revenge, told in beautiful language, full of originality that brings to life the world of young black intellectuals in the 1980s, gathering together to make plays, films, music and write. The revenge comes from an unexpected source, an imaginative use of an old vinyl record, memories and the power of sound. Set in the colony of Victoria, some time in the past, this story brings to the reader all the sights, sounds and smells of a rough, emerging society, with the trappings of civilisation, but still hovering between luxury and filth. The main character is Doctor Brister, a larger than life man who apparently has the skills of a doctor, but does not see the necessity of attending a childbirth because he knows that the woman will die, and his young assistant, Bert, who is the observer of the story. When the doctor’s dog dies, he becomes unexpectedly maudlin and insists on a photograph next to his faithful dog at a studio, which results in chaos and misunderstanding. There is much humour here and the details are tossed out with convincing and delicious ease. The characterisation is remarkable, especially acute as it is all conveyed through the clear and honest eyes of Bert. There is much here to enjoy. This is a story about childhood insecurities and their power to reassert themselves later in life. The protagonist enjoys an apparently successful life with a beautiful wife, a good job and plenty of money, and yet the arrival in London of Sergey, a famous concert pianist, sends him straight back to the eczema of his childhood. At the age of ten, when Sergey came to his school for three months, they were both outsiders. The protagonist was nervous and unpopular with his contemporaries but when they meet now, Sergey doesn’t recognise him. The skill in the storytelling is in the way in which the lesson learnt by the protagonist when he was at school with Sergey is re-enacted in the present day and makes a significant point. It’s a powerful portrait of a child with genius and introduces a clever, new perception with a twist at the end. Elizabeth and her husband have lost their two-year-old daughter and she and her husband have reacted to the tragedy in radically different ways. She cannot move on – she is offended by the suggestion – and she becomes less and less functional. He tries to bring back normality, spending long hours in the garden, planning a holiday to the Caribbean even though she refuses to go. The skill here is in the balance between the two characters and the gradual realisation that the husband, who appears to be the more rational of the two, is perhaps reflecting the same emotional frugality displayed by his mother. He is determinedly normal, which drives Elizabeth to more extreme behaviour. The turnip soup of the title is a recipe left by his mother, with a mysterious reference to a secret ingredient. Elizabeth prepares the soup, but creates her own version. Was this what her mother-in-law intended? Hope is the last polar bear on earth, who has been brought to an English zoo to live out her last years. The world has been immeasurably altered by the climate changes and most people have retreated to small flats in blocks on stilts, high up in the hills. The protagonist is not someone who conforms. She remains in her house near the river bed and takes her chances with the floods when they come every year, never certain that she will survive. A visit from an old friend, possibly lover, vindicates her decision to stay, as she is told how mankind are losing their ability to communicate. The futuristic world is fascinating and convincing without being too far removed from our present existence, and the contrast between then and now is described with sorrowful beauty. The bleak ending that the reader expects after the death of the polar bear is tempered by the possibility that all might not be lost after all. Born on the same night that Neil Armstrong set foot on the moon, Claire is one of a group of doctors working in an unknown refugee camp on the edge of a desert where the poor and starving and ill have gathered. They keep coming even after the medical supplies have all but run out. 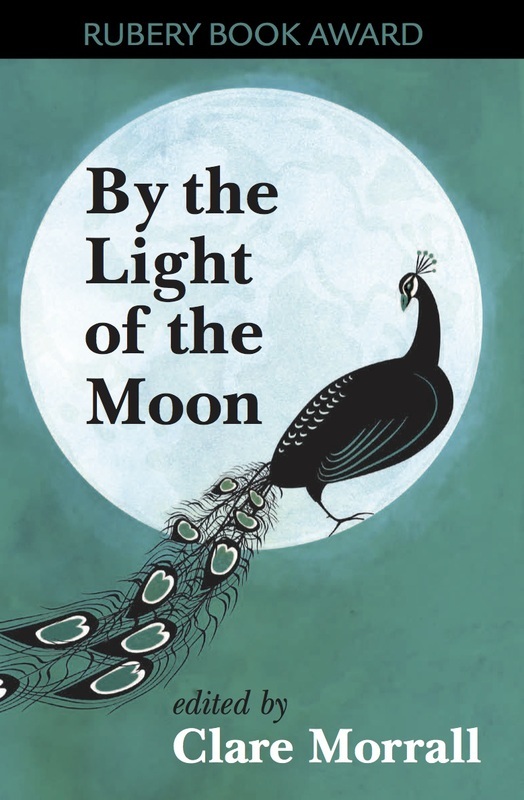 It is superbly convincing and the despair is portrayed unflinchingly against the painfully beautiful descriptions of the moon, which filters in and out of the story like a leitmotif. Amazingly, against the backdrop of hopelessness, the story manages to end with an unexpected indication that there is still a future in the midst of all this terrible misery. This appears to be a remarkable insight into the world of female boxing, told by the mother of a boxer known as Our Peacock, but it’s really a story about love. We are drawn into the mother’s world, as she is compelled to be part of her girl’s world. There is a deep understanding of the quiet resigned love of a mother who knows that she can’t protest too much if she wants to remain in her daughter’s life. So her girl goes with her father to a match against the Wasp, while her mother stays at home and cooks, hunting out food and vitamins that aid healing, while she waits for black eyes, split lips, fractured ribs and everything else that results from boxing. It’s a very moving story and it is with real pleasure that the reader comes to realise that the mother’s selfless love pays off and her independent, tomboyish daughter demonstrates her love in return. A white woman gives practical help to a poor black school in rural South Africa. They watch the freeing of a trapped dove, only later discovering that momentous changes are happening in the country. A man is furious that his wife has given birth to a third daughter instead of a son, while she is delighted that the baby resembles her sister who has recently died. Neighbours help a man hunt for his missing child during the night in an inhospitable, mountainous region, but they know more about his wife and marriage than they are prepared to say. A touching story of a wife’s struggle to deal with her husband’s Alzheimer’s as she misses their close physical relationship. Set in Italy and told from a child’s point of view. The rise of Mussolini becomes confused with the trauma of absent parents. A young woman who has committed suicide comes back as a ghost and sits on a statue in the town square, confusing everyone and causing chaos amongst her family and friends. The friend of a young man killed by the police in South Africa finds a unique way to exact revenge on the policeman responsible. When a taxidermist dies, his wife cares for his sick sister and makes plans to memorialise him. This explores the long term effects of guilt on a man who is still affected by events from his childhood, when he was responsible for a terrible accident. A hilarious account of a dysfunctional family, almost entirely conveyed through realistic dialogue, which becomes more surreal as it progresses. Set in Victoria, Australia, in the early days of settlement. An irritable and unpredictable doctor plans a photograph with his dog who has unexpectedly died. When a man meets famous concert pianist who he knew briefly at school, he becomes the recipient of a strategy that they discussed as a child. A wife who left her husband returns when she discovers he is seriously ill and re-examines her relationship with him. The painful relationship between a man and his wife after losing their baby, and their inability to forget or to separate from each other. A story set in a bleak future where summer droughts and winter floods have changed the way people live, and the last polar bear, Hope, represents the future hopes of mankind. An Aid worker in Africa, confronted by the hopelessness of more and more refugees as supplies run out, finds comfort in an unexpected place. A woman thinks her son as she irons, a typically arrogant, thoughtless young man who then dies in a tragic accident. A severely disabled girl has a new carer who, despite her lack of experience, treats her with an unexpected understanding.